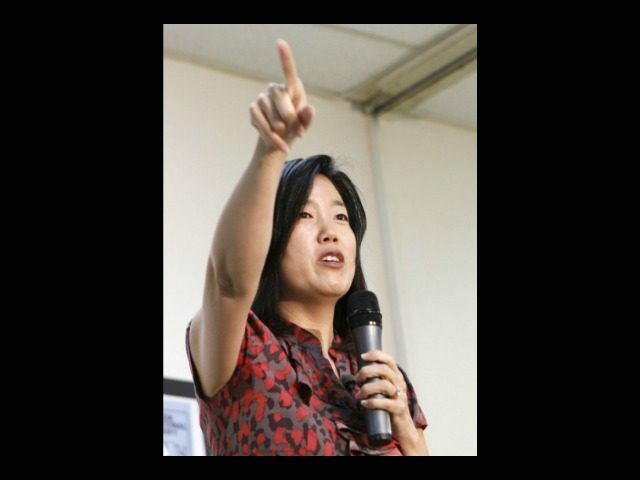 Michelle Rhee -- Supporter of ‘Heavily Regulated’ School Choice -- as Education Secretary? Michelle Rhee — Supporter of ‘Heavily Regulated’ School Choice — as Education Secretary? Former Washington, D.C., schools chancellor Michelle Rhee is reportedly on the short list of candidates President-elect Trump is considering for U.S. Secretary of Education, but her view of school choice is that it should be “heavily regulated,” meaning that private and charter schools that accept vouchers would come under greater regulation. In a 2012 interview with Education Week, Rhee, a Democrat who heads political education lobbying group StudentsFirst, said she supports targeted school voucher programs that provide taxpayer funds to low-income students in poor schools. Her view of school choice, however, is one that would bring greater regulation to private and charter schools. School vouchers – which are a transfer of taxpayer funds to private and charter schools – have been shown to bring about the highest level of regulation in private and charter schools that agree to accept them. If you’re going to be having a publicly funded voucher program, then kids have to be taking standardized tests. We have to be measuring whether kids are academically better off in this private school with this voucher than they would be going to their failing neighborhood school. If they’re not, they shouldn’t get the voucher. … I’m about choice only if it results in better outcomes and opportunities for kids. The Federalist’s Joy Pullmann wrote that Rhee is “highly skeptical of school choice” in that parental choice is not Rhee’s goal. She strongly supports charter schools, a good but highly managed government alternative to traditional public schools, and prominently reversed her opposition to vouchers in 2013. Yet she still supports a highly regulated version of vouchers driven by applying the tests to them that public schools use, which undercuts their very premise. We don’t want to use vouchers to mold private schools into the public schools whose failure justifies vouchers in the first place, but to provide diversity of parent choice in education. That requires light regulation. Rhee dismisses the Constitution’s basic principle that says all parents – regardless of income level – have the right and responsibility to choose their children’s education. Rhee’s desire for choice only for low-income students is consistent with her support for Common Core, the highly unpopular education program that ultimately hoped to close the achievement gap between white and minority students. As it turned out, Common Core did nothing of the sort, and some have even said it simply “dumbed down” standards for all students. A recent Education Next poll shows that while overall support for school choice is high in the United States, support for the use of vouchers to access choice programs has declined. 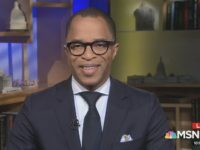 In a 2010 study at the Cato Institute, Andrew Coulson found that voucher programs are more likely to “suffocate the very markets to which they aim to expand access” because state funds—which invariably invite state regulation—are directly transferred, in the form of vouchers, to parents to spend in an alternate education setting. With the addition of South Dakota earlier this year, 17 states now have 21 STC programs. Last year, more than 230,000 students used tax-credit scholarships to attend the private school of their choice, compared to about 150,000 students who used school vouchers and about 6,000 who used education savings accounts (ESAs). Their high level of public support makes them the most politically viable form of school choice, and because they are privately (rather than publicly) funded, they have a perfect record of being upheld as constitutional, making them the most constitutionally viable form of school choice yet devised as well. Rhee’s support for “heavy regulation,” however, is contrary to what Trump promised to parents while on the campaign trail and throughout the country. [We recommend] appointment of a Secretary of Education who is committed to reducing, if not eliminating, the federal footprint in education; who understands the Constitutional role of the federal DOE is non-existent; who will work to eliminate any incentives or requirements supporting Common Core; who understands that Title 1 portability will impose Common Core and other federal strings on private and home schools, completely undermining your key promise of local control; and who is a parents right advocate. The parents’ recommendations for the post of U.S. secretary of education include Dr. Williamson (Bill) Evers; Dr. Larry Arnn, president of Hillsdale College; Dr. Sandra Stotsky, standards writer and professor emerita, University of Arkansas; Dr. Peg Luksik, Pennsylvania constitutionalist and co-founder of the Center for American Heritage; and Dr. William Jeynes, professor of education at California State University, Long Beach.